So you want to know how to boost self confidence. Well, the good news is that your self confidence is already inside you. You have just to remember what it means unshakable self confidence. If you want to know how to boost self confidence, you have first to understand that self confidence is an innate state of mind. You can’t understand what self confidence is if you don’t catch that. Everyone is made of self confidence. This is the raw material of your inner power. This is what you are born with. Just look at a little child learning to walk and you’ll see that clearly. This is especially important if you are experiencing a sequence of setbacks and feel like you can’t overcome failure. If you are born as a self confident being, the only reason you don’t have it right now is that you have lost it. If you can do anything, the only thing limiting you are self limiting beliefs. Education, past experiences and hurting people (even if unwillingly) can make you think “I don’t deserve it”, first and “I can’t confront it”, afterwards. This will make you to lose a few battle, compare with other successful people and adopt a definitive “I can’t do it” belief. This will definitely limit you. You may start reinforcement of self confidence from cultivating your innate talents. Say you are fond of combining notes and poetry, or you have the natural tendency to get involved with music, you can help save yourself from low confidence by redirecting this interest to more useful activities. You can perhaps write music and allow others to appreciate your compositions or get involved with poetry and develop the genius in you. This will start freeing your self confidence and restoring your sense of power. Your inner talents will gradually awake your self confidence. But you have to actively reactivate it in order to have a personal breakthrough. This starts by stopping the mechanics that will make you lose your self confidence. Don’t complain, nor make excuses, nor compare to others; making excuses will simply make yourself in condition of not changing things – i.e. will subtract you power; the same is for comparing with others. Missing confidence comes from not seeing what we already have and seeing what others have that we want. Start confronting challenges. This starts by accepting things as they are and discriminating what is working and what is not. Just tell yourself: “I’ll go through it and I’ll arrive safely on the other side”. Restore your sense of self worth – think that whatever you may have done, you are and will be always a son of God, so you deserve it. Whenever you tell yourself: “I can’t do it”, say instead: “there is always a way and I’ll find it”. Dropping a losing mindset is the first vital action when you are facing overwhelming life challenges, and the single personal shift that allows you to regain your power and start where you are. This means starting with a mindset shift. You can get more help on this in many ways. You can try for example a self-confidence mantra. If there is always a way, what is this way? You can see it as a chained sequence of actions. You can imagine how things will be when you’ll have reached your goals, then imagine the last action that will realize it. Then think how will be things just before that action, and imagine what other action will bring you there. Keep going back until you get an action you can do right now. At that point, you’ll have a strategy to reach your goal starting from a doable action. And this will make you much more confident on getting there. You have just to start. Dare to do something you think is out of your capacity will greatly increase your confidence. If you try the exercise in the previous paragraph, you’ll end up with a simple action to take. The secret is to have just enough courage to take that little action, then exploit momentum to get forward, one action after another, having a little more of courage action by action when needed. A stronger way to do this is by developing your desire for adventure. There’s a deep connection between courage and self confidence. Each one empowers the other. This is deeply explored in our 30 days self confidence challenge. It’s not by chance that it is the “30 days challenge to build you courage and boost your self confidence”. Taking action with courage will get you started in having your confidence back. But to become stably self confident, you need more. Your action will end successfully or maybe not. You won’t know until the end, especially if this action is about something you are doing for the first time. The good news that if you are not succeeding this doesn’t mean you are failing. You could consider you are just experiencing a setback and you can deal with it and get over. The only way to stay on track is with persistence. Persistence of action will grant you success at the end. A little child will try walking until he’ll succeed. Like with courage, also persistence and self confidence are empowering each other. If you know you’ll persist, is easier for you being confident. If you are confident, is easier for you to persist, because you think persistence will bring you success. You will really persist until you will really succeed. Persistence requires also courage: the courage to retry and still have confidence when you have failed. So, developing courage will help both your short term and long term self confidence. Do, rinse and repeat is the cornerstone of developing skills. Nothing will resist repetition. Anything exercised through time will improve, empower. So, persistence is all you need to develop your skills. And developing your skills will increase your sense of self. For example activities like developing your verbal skills through writing and public relations will help largely in increasing your sense of self. Most of us have the fear of facing the public. Yet once we get over this fear, we are likely to discover more of our capabilities later own. If a skill is something you are capable of, is clear that stable confidence comes from having what you perceive as skill. Developing your skills is a cornerstone way to exploit your greatest resource: yourself. The more you confront your challenges and act with persistence and develop your skills, the more you’ll start understanding the realm of your true possibilities. You can have weaknesses, but for sure you have strengths. Your potential is made of your strengths and the action that will follow them. Persistent, courageous, confident action will empower your strengths and weaken your weaknesses – so it will develop your potential. Your self image is what you think of yourself. It defines how you will act, behave and react. The more your self image is based on your strengths, the more you will be self confident on autopilot. We all have already talent, skills and beauty. You must look at your goldmine, see your power and use it. How to boost self confidence this way? By recognizing your capabilities and taking advantage of them – i.e. by exploiting your potential. Push yourself in doing this until you see you have created a better self image. A self image based on your power will transform on a continuous basis your perception of yourself, and this will definitely boost your self confidence. 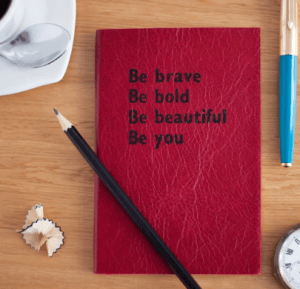 There are endless possibilities to boost self confidence – you just have to be open to them: from seeing our strengths, to taking courageous persistent action, to finish with a full self image restore. You are that the only being that can stop you from developing your true power and can separate you from happiness. Choose to be powerful, express you power and create the life you deserve. Learn more on how to unleash your self confidence with my free “30 days challenge to build you courage and boost your self confidence”. Subscribe with the form below. See you next time! 11 Engage in the 30 Days Courage and Self-Confidence Challenge!